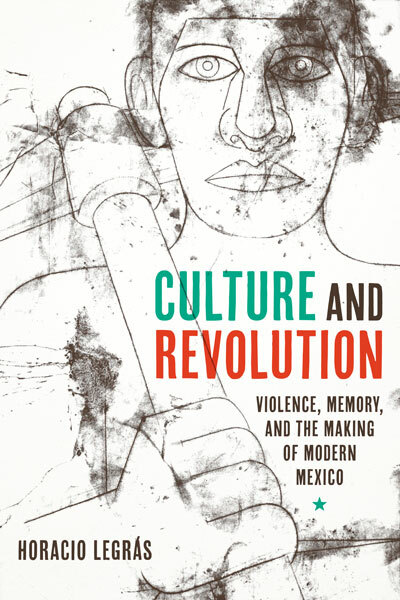 This aesthetic reading of politics, society, and culture during and after the Mexican Revolution illuminates how culture mediates power and, rather than uniting a people, collects heterogeneous communities into a diverse archive of memory. In the twenty years of postrevolutionary rule in Mexico, the war remained fresh in the minds of those who participated in it, while the enigmas of the revolution remained obscured. Demonstrating how textuality helped to define the revolution, Culture and Revolution examines dozens of seemingly ahistorical artifacts to reveal the radical social shifts that emerged in the war’s aftermath. Presented thematically, this expansive work explores radical changes that resulted from postrevolution culture, including new internal migrations; a collective imagining of the future; popular biographical narratives, such as that of the life of Frida Kahlo; and attempts to create a national history that united indigenous and creole elite society through literature and architecture. While cultural production in early twentieth-century Mexico has been well researched, a survey of the common roles and shared tasks within the various forms of expression has, until now, been unavailable. Examining a vast array of productions, including popular festivities, urban events, life stories, photographs, murals, literature, and scientific discourse (including fields as diverse as anthropology and philology), Horacio Legrás shows how these expressions absorbed the idiosyncratic traits of the revolutionary movement. Tracing the formation of modern Mexico during the 1920s and 1930s, Legrás also demonstrates that the proliferation of artifacts—extending from poetry and film production to labor organization and political apparatuses—gave unprecedented visibility to previously marginalized populations, who ensured that no revolutionary faction would unilaterally shape Mexico’s historical process during these formative years. Legrás is a professor of Spanish and Portuguese at the University of California, Irvine. He is the author of Literature and Subjection: The Economy of Writing and Marginality in Latin America.